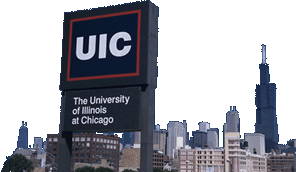 Below is a list of all UIC graduate and professional degrees. The 2012–2014 Graduate Catalog provides a detailed description of all programs administered by the Graduate College and limited information about professional programs that are administered by their home college. * This department only admits students to the PhD program or gives admissions preference to PhD-seeking students. Please see the program listing or contact the program for details. The following certificate programs are available to graduate-level students and have been approved by the Illinois Board of Higher Education (IBHE).